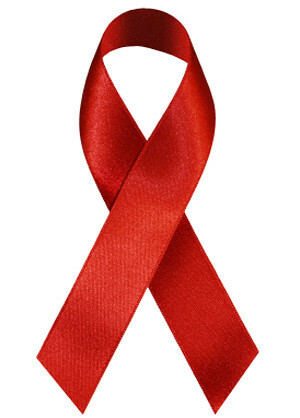 June 2011 marked the 30th anniversary of HIV/AIDS. This is another reflection from my experience working with HIV/AIDS, 1984-1993. You can catch up on previous installments by clicking on HIV/AIDS in the Topics box. I can’t remember exactly how I met Julie. Most likely, Dr. Gordon called me and said he had someone special for me. Even though he told new patients about our services and gave them my card, he always personally gave me a heads up, including their background and medical history. He may have moved to public health in semi-retirement, but all of those years as a psychiatrist and concerns for the psycho-social-spiritual aspects of patient care were still very important to him. Julie was our first woman with AIDS in the county. Her boyfriend was a prominent vineyard owner with award-winning wines. He met her in Santa Monica, where she lived. He thought she lived in a hovel and encouraged her to relocate to the central coast with him. She hadn’t been in the county very long when she got sick and had to be hospitalized. Back then, the only hospital where anyone with AIDS could get treatment was the county hospital. Dr. Gordon was the only doctor willing to see patients with AIDS. And, by this time, he and I had a well-oiled operation going. We also had a loose network of volunteers from the gay, lesbian, transgendered community we called upon regularly. There was one assistance worker at the social services office I cultivated a relationship with to streamline the MediCal and disability bureaucracies. There was only one mortuary willing to handle final arrangements which, by law required cremation. We were pretty much a one-stop shop! Julie was in her late thirties and came to LA, from Ohio, at 18 to make it in Hollywood. She’d led a very colorful life, I’m sure. She had pictures from parties at Hugh Hefner’s mansion, model head shots, and lots of gaps. I, who could usually get people to open up, couldn’t pry much from her about her family. By the time I met her, she hadn’t had any contact with them for over 20 years. It wasn’t long before her boyfriend distanced himself. He didn’t want to kick her out, but he wasn’t home very much either. He certainly wasn’t emotionally available and Julie was very isolated out at the vineyard. I don’t know what, if anything, he knew of her AIDS, but he wasn’t prepared for it in any event. Who is? Julie was ever the romantic. Despite her Hollywood lifestyle, she always had a dream of being married, having children, and a house with a white picket fence. She loved having tea parties and Jeanette MacDonald was her favorite movie star. We became friends. We’d go out to lunch and she’d come over for dinner. She loved visiting with my grandmother and she’d call my sons after school to hear about their day. We experimented with various make-up techniques to cover the Kaposi’s sarcoma that began showing on her face. Kaposi’s are a viral infection that became known as a defining illness of AIDS in the 1980s. We had sleep overs that morphed into Jeanette MacDonald video fests. We talked about men and relationships, the loss of dreams and death. She loved my sons and cultivated her own relationship with them. She had a wonderful sense of humor and I’d hear them giggling about something with her while fixing dinner. Julie loved cherries and would have seed-spitting contests with them. When she had to be hospitalized to get some medical crisis under control, she’d call the boys and ask if they would be coming with me to visit. She had a way of making little events opportunities for hope. Julie tried to make the best of a truly terrible situation but sometimes the old demons emerged. She didn’t drink, but managing the morphine prescribed for pain was a challenge. She loved dressing up and going out, but her emaciated frame and unsightly Kaposi’s made it difficult for us to find a place where we’d be welcome to have lunch. As the only woman with AIDS, there wasn’t anyone else with AIDS whom she could share. She knew her time was limited, but no one ever knew how limited or what ultimately was in store for them. One afternoon, I got home just after the boys got home from school. We already had planned to go visit Julie at the hospital. She had already talked to the boys and knew we were going to be on our way soon. She was really looking forward to our visit. We only lived 15 miles or so from San Luis Obispo, but it still took about a half hour. We got to the hospital and went directly to Julie’s room. She was all alone and I knew something wasn’t quite right. I took the boys out the the waiting area just as Dr. and Mrs. Gordon arrived. Unbeknownst to me (this was in the days before cellphones), Dr. Gordon had just been called by the nursing staff. Mrs. Gordon stayed with the boys in the waiting room and Dr. Gordon and I went back to Julie’s room. She had died just minutes before the boys and I arrived. None of us expected her death at this time. The drive home was heart-wrenching. Julie was the first of my “people” the boys really knew and had a relationship with. Their tender hearts were grief-stricken and so sad. I officiated at a small graveside service for Julie. Later that afternoon, the boys and I ate cherries and shared our Julie stories. Sometimes I think of a person’s life, wondering about the hidden history there that no one seems to know. A person may not be remembered by many, but I do know that everyone makes a difference to someone. Julie was one of those people for us. She touched our lives and made a difference to the three of us. I’d like to invite you to join me September 18, 2011 for the C.A.R.E.S. AIDS Walk in Sacramento, California. I’ll keep you posted with my plans or you can email me!